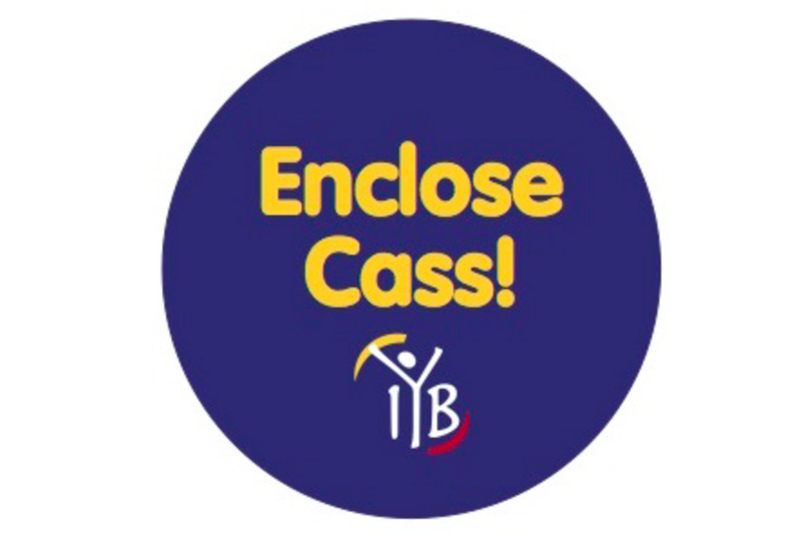 Be a part of the Enclose Cass Extravaganza! All proceeds will support the capital project that encloses Cass Park Arena! Pre-registered teams will get pre-scheduled game times; Others will be first come, first served in open slots. 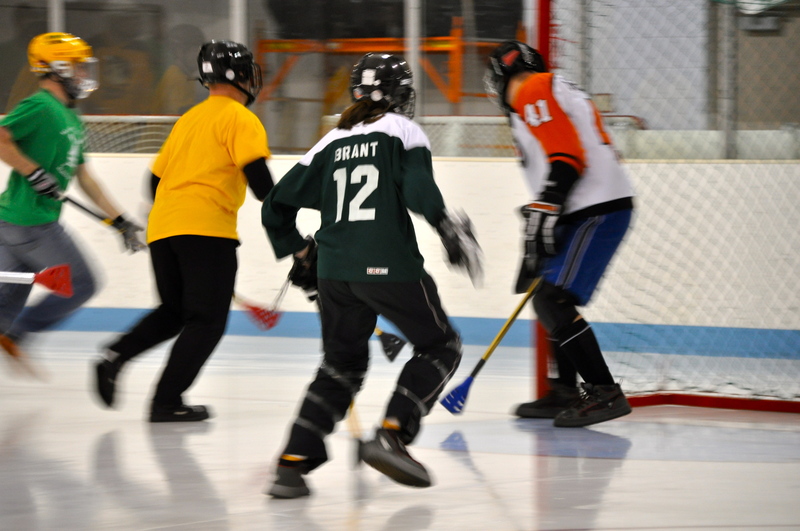 Broomball is a sport similar to hockey, but with no skates or hockey skills needed! Register today by clicking the "Register Button" above! Each team must have a minimum of 6 players and a maximum of 10 players. You can also sign up as an individual and we'll place you on a team on the day of! Show your support for the Enclose Cass Park Campaign by creating your own fundraising page to rally around our cause! Brooms, balls, and nets will be provided. Please bring your own appropriate footwear (clean sneakers or boots), helmets (bike, hockey, ski, etc. ), protective pads (highly recommended but optional), and make sure your team is all wearing the team color you select when registering! The Enclose Cass Extravaganza is a day of fun in which all proceeds will benefit the Cass Park Arena Enclosure Campaign. This community-wide effort is being led by the Friends of the Ithaca Youth Bureau, a nonprofit organization that exists to facilitate support for the Ithaca Youth Bureau. 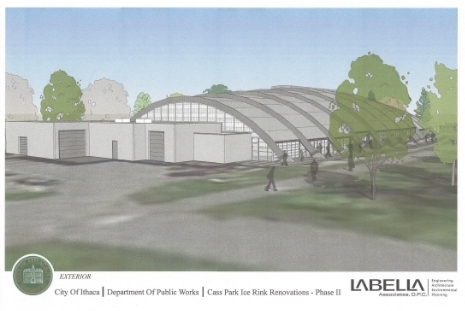 The overall goal is to raise $1 million to support upgrades that will retain the Cass Park Arena's traditional charm, while making the city-owned and managed facility more sustainable and successful. The Cass Park Arena is a four-season community resource that has promoted "fun, fitness and friendships" for almost 45 years, and it's time to take it to the next level! Take home meals or enjoy during the event. Buy beverages and baked goods too! Check out other great events happening Nov. 5 to help Enclose Cass! The Cass Park Campaign is a capital campaign to encourage community support for enclosing the 45+ year old arena. The City of Ithaca invested in the 2016 roof and ceiling renovation, and energy-efficient lighting. The glass enclosure could be built as soon as 2019 if the community participates by making gifts to the project through Friends of the Ithaca Youth Bureau. The Friends of the Ithaca Youth Bureau's mission is to promote positive, engaging opportunities for youth by raising community awareness of and building financial support for the services and programs of the Ithaca Youth Bureau. FIYB, also known as "Friends", promotes and raises private support for the Ithaca Youth Bureau by developing donor campaigns, planning and implementing special events, forging new partnerships and strengthening existing ones, and otherwise engaging in activities that support the Ithaca Youth Bureau's capacity to serve the community.